Oil sands crude prices have hit rock bottom. The future could be in the tar -the bitumen. The original name for the deposits, tar sands, should be restored because that’s where their potential value exists. Extracting oil from tar sands is done at great cost. 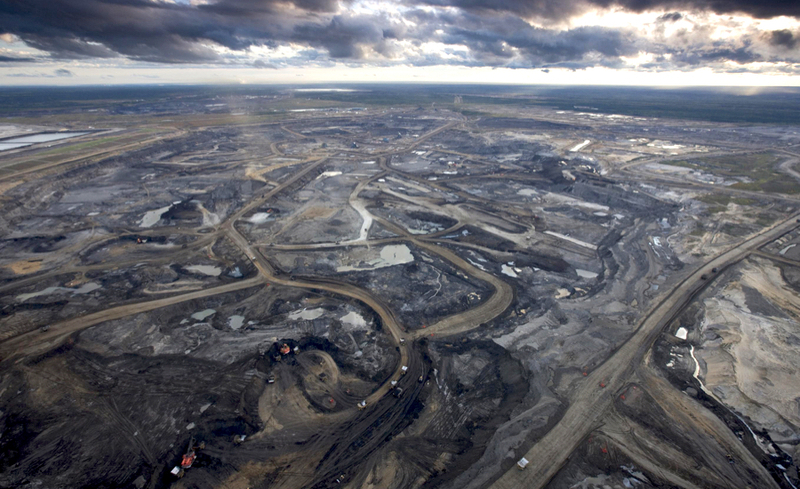 Huge tracts of land are stripped and the tar sands are dug up or injecting with steam. Once it’s dug up, the thick goo has to be diluted just to get it through pipelines. To turn into useable petroleum, it has to be sent to refineries thousands of kilometres away. Because there aren’t enough pipelines to get it to refineries, and because convention oil is relatively cheap, the extraction of oil from tar sands is not profitable. Beyond the cost of extracting oil from tar sands, there is the cost to the environment. Because extraction is so energy intensive, more greenhouse gases are produced than from conventional sources. Canada is the fifth largest producer of crude oil in the world but we produce 70 per cent more greenhouse gases per barrel than global averages according to Corporate Knight magazine (Fall, 2018). That higher average is because of the tar sands. Then there are investment pressures that are moving away from fossil fuels. Europe’s largest asset manager is increasing its “decarbonized portfolios” and so is Canada’s second largest pension fund, Caisse of Québec. Instead of burning the stuff as fuel, a better plan would be to extract the valuable byproducts of bitumen. An Alberta government agency, Alberta Innovates, is looking to producing derivatives of tar. In their report “Bitumen Beyond Combustion,” they suggest three possibilities. Less obvious is the production of carbon fibres. Like any organic compound, bitumen is right for making carbon fibres. The fibres have a wide variety of applications including strong lightweight composite materials used in aircraft, aerospace, and wind industries. They strengthen cement and steel. When used on their own, they can replace steel in automotive manufacture. If carbon fibres took just one per cent of the global steel market by 2030, that would require 3 million barrels of bitumen a day, one study found. Another surprising component of tar sands is vanadium used in making batteries and high temperature metals. While one a barrel of bitumen contains only 30 millilitres of vanadium, millions of barrels would produce a lot of the metal. At the current value of crude oil, it’s not worth mining the tar sands for petroleum. The bitumen, once regarded as a troublesome byproduct, may be the future of the tar sands.